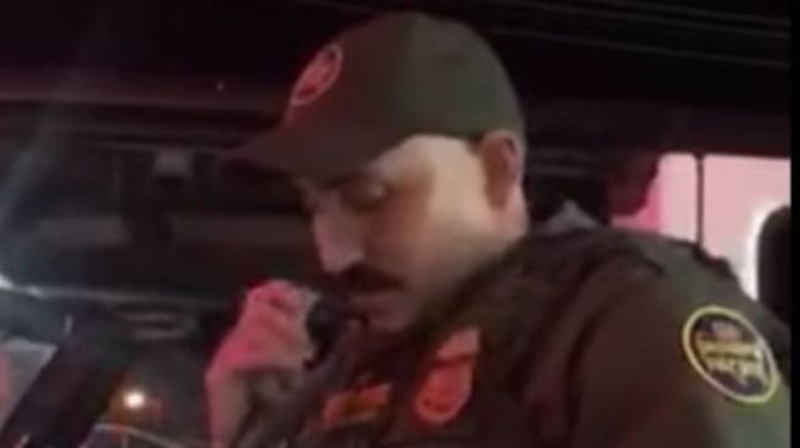 Two U.S. citizens said they were detained last week by a Border Patrol agent in Montana after he overheard them speaking Spanish to each other in a convenience store. Ana Suda and Mimi Hernandez said they’d popped into the store in Havre, a small town near the border with Canada, early Wednesday morning when they were approached by a uniformed Border Patrol agent, KRTV reported. The two women, who are Mexican American, had been chatting in Spanish while waiting in line to pay for eggs and milk when ― to their incredulity ― the agent asked them for their IDs. “I looked at him like, ‘Are you serious?’ He’s like, ‘Yeah, very serious.’” Suda, who was born in Texas, told The Washington Post of the encounter. Outside, in the parking lot, Suda began filming the agent on her phone. She asked him why he’d been compelled to detain them. He told her that their use of Spanish had caught his attention. “Ma’am, the reason I asked you for your ID is because I came in here, and I saw that you guys are speaking Spanish, which is very unheard of up here,” the agent can be heard saying in the cellphone footage. He then denied that the women had been racially profiled. Suda told MTN News that even after seeing their IDs, the agent did not let them leave the parking lot for about 35 minutes. She said her husband, a former probation officer with the Montana Department of Corrections, criticized the agent for overstepping the limits of his position. “He thinks it is very bad what this guy was doing because he does not have the right to do it,” Suda told the outlet. Suda, who plans to take legal action over the incident, said she and Hernandez were deeply shaken by the encounter and remained in shock. She said she was especially alarmed by her 7-year-old daughter’s reaction to the incident. People on social media have reacted with horror to Suda’s video and story. “Since when is speaking a foreign language criminally suspect?” asked one Twitter user on Sunday. A Border Patrol agent detained and questioned Ana Suda and Mimi Hernandez — both U.S. citizens — when he overheard them speaking Spanish at a gas station.